At Sequoia Signs & Graphics, we produce high-quality magnetic signs, as well as all other types of signs for businesses. Magnetic signs are a great way to advertise your business because they’re affordable, easy to install and easy to remove. If you need magnetic signs or any other type of sign, give us a call. We are a full-service custom sign and graphic design company located on the Pleasant Hill-Walnut Creek border, and we serve the entire East Bay area. If you have any questions, we’d be more than happy to sit down with you and help you explore all of your signage options. Magnetic signs typically fall underneath the category of vehicle graphics, because that’s where they are most commonly used in the signage industry. They are a great and inexpensive way to turn any vehicle into a mobile advertising tool. While they lack the impact and wow factor of a full vehicle wrap, they do offer other benefits. For one, they are very low cost and effective. For a very small investment, you can add your marketing and contact information to any vehicle. For a pizza company, for example, that has delivery drivers that use their own cars, magnetic signs are a perfect fit. When the delivery drivers show up to work they can put the magnetic signs on each side of their car, and then remove them after they’re done with their shift. 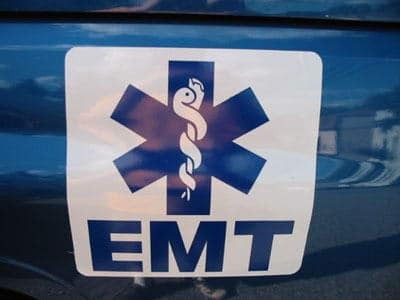 Which leads to another benefit of magnetic signs – they are removable. 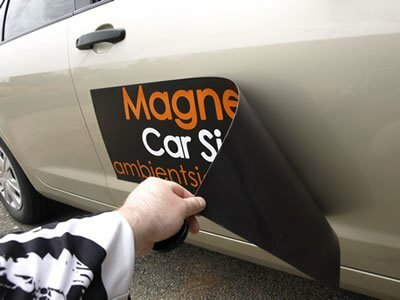 If you don’t want to commit your personal vehicle to 24/7 marketing, you can use a magnetic sign and get all the benefits of mobile advertising without having to add something more permanent. Have any more questions about magnetic signs? Call us, or fill out the form to the right and we will contact you as soon as possible. Check out our product page to get some ideas and see common uses for different signage. At Sequoia Signs we make only the highest quality signs, with the highest quality materials, on the best equipment in the industry. Beyond that, our goal is to provide a customer experience beyond any other. Our clients will always be our #1 priority. Sequoia Signs & Graphics, Inc. Copyright © Sequoia Signs. All rights reserved. CA License #1019870.